Spring has finally arrived in Boston, and I seriously couldn’t be happier. Baseball season also officially kicked off last week. I’m pretty sad I missed all the Phoenix spring training this year, but hopefully I can get back next spring. With spring and baseball on my mind, I started thinking about how baseball inspires fashion. Well, enter the baseball jacket aka the bomber jacket. 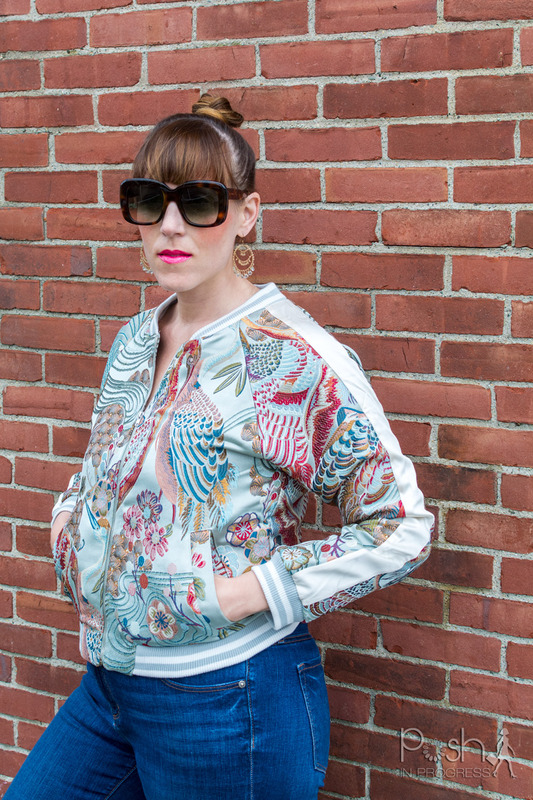 There are so many great styles out there, I’m sharing some of the best bomber jackets for spring. They aren’t the same, but they kind of are the same. Most of the fashion sites I looked at, when I googled baseball jacket, bomber jackets came up too. If you know what the difference is, I’m all ears! One site I found showed bomber jackets also had leather details, whereas baseball jackets tended to be made of silky materials. Either way, I love the shape of baseball/bomber jackets. They are so classic. Bomber jackets have actually been around since as early as WWI – they called it a flight jacket. So with that simple google search, I think I figured it out! Bomber jackets tend to have pockets and zippers on the arms, whereas baseball jackets tend to be fairly simple – no extra pockets besides the two side pockets. Either way, the styles are so similar and I love them! The cool thing about bomber jackets is that they really do go with a lot of things in your wardrobe. I love how they look with jeans or black leggings, or worn over a tight dress with a pair of heels. Bomber jackets really can be dressed up or dressed down. They are really versatile pieces for your wardrobe. Given my love of this trend, I’m sharing some of the best bomber jackets and baseball jackets I found. « Here’s Your Chance to Win PayPal Cash!